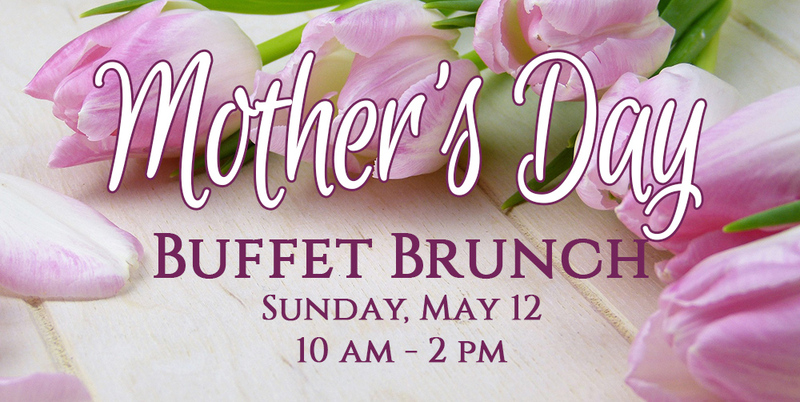 Celebrate Mother’s Day with a delicious Brunch Buffet at The Caroline on Sunday, May 12th from 10 am – 2: 00 pm! 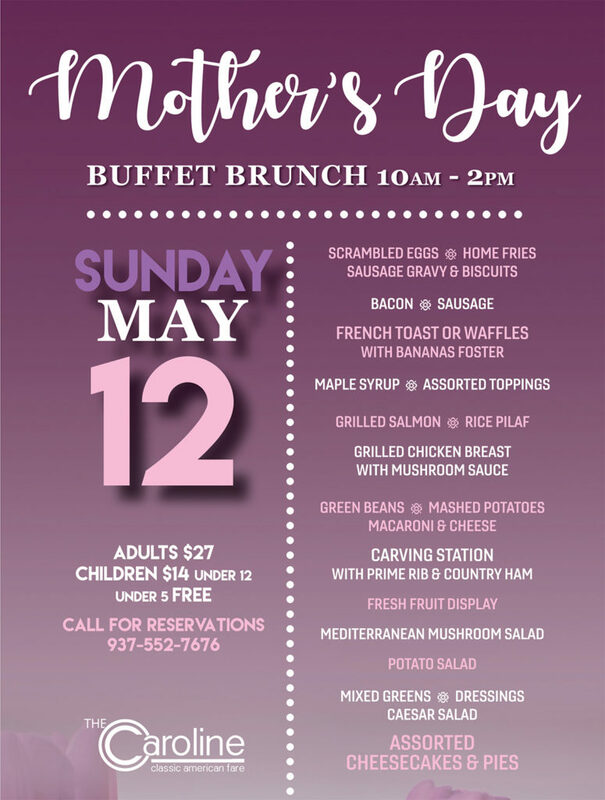 Call 937-552-7676 for reservations today! 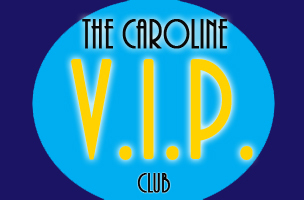 Adults – $27, Children under 12 – $14, and children under 5 eat for free!